With this Vancouver real estate cycle coming to an end, and home sales across Greater Vancouver sliding to an 18 Year low in July, liquidity is evaporating rather quickly. This spells trouble for housing speculators, or housing flippers, which up until recently, have made out like bandits. When times are good and credit is easily available a rising market lifts all boats. Increased volume and quick turnover creates a welcoming environment for house flipping, which is generally dependent on a liquid market in order to extract profits and pay off any short term loans. However, when the credit tides rollout, only then can you see who’s been swimming naked. With sales falling and total loans across Vancouver dropping 18% in 2017, market liquidity is drying up. As a result, house flipping activity (which is considered a house bough and re-sold within 24 months) has dropped, falling to its lowest monthly total since January 2015. It was the fewest house flips for the month of July since 2012. 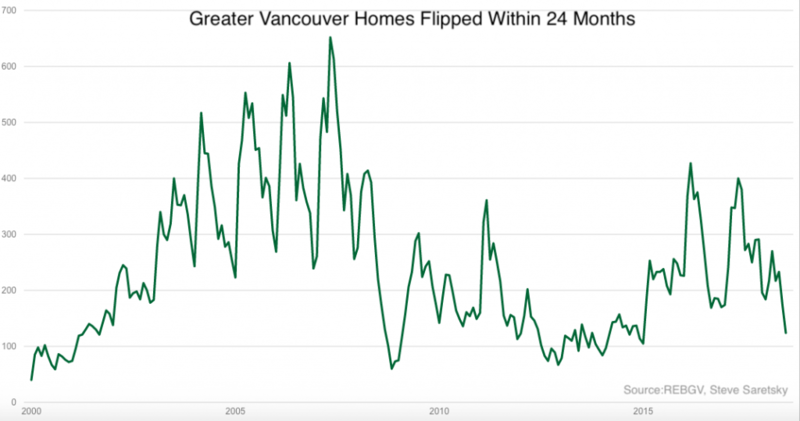 Monthly homes flipped across Greater Vancouver. Detached house flippers were hit particularly hard. After peaking in March 2016, when flips accounted for 11% of total sales, they have since plummeted to just 2% of all sales in July 2017. We haven’t seen this few detached homes flipped since the previous low recorded in November 2008. 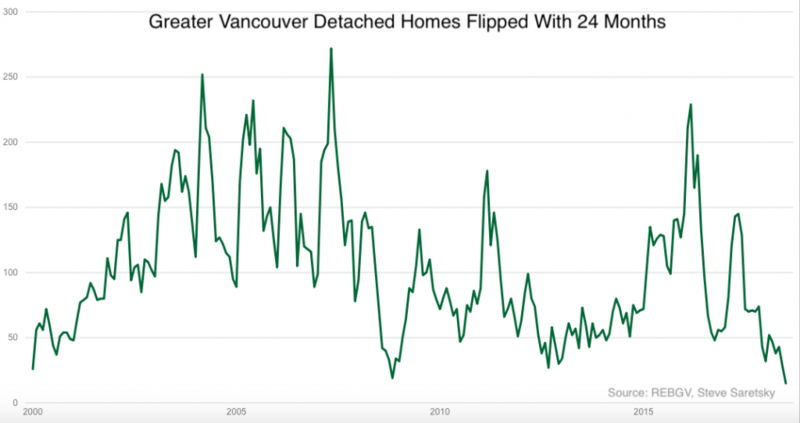 Greater Vancouver detached house flipping activity. The liquidity issue isn’t nearly as dire in the condo space. While the number of flips is declining, falling 43% year-over-year in July, condo flips still made up 8% of total sales. 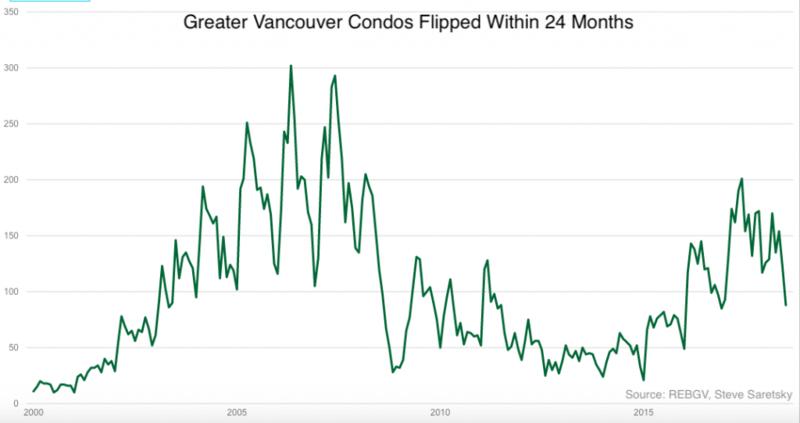 Total condos flipped in Greater Vancouver. However, with sales trending lower and inventory building, condo flippers may soon be looking for the exits.